Each dog has a unique personality and temperament. 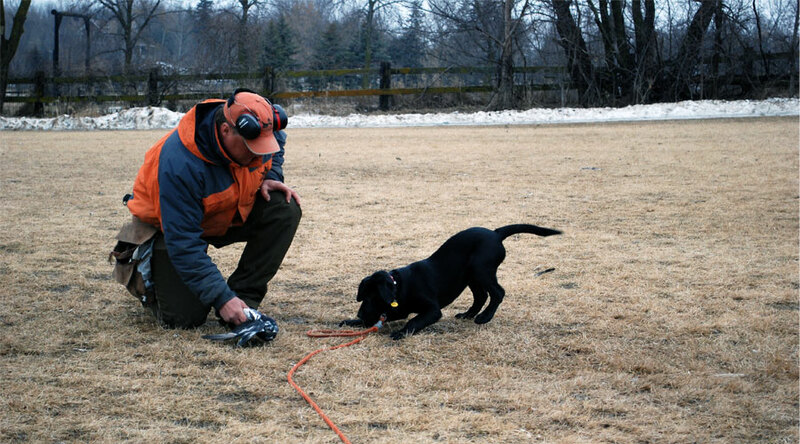 When you bring your dog to Wings and Whistles, we structure our training program around your dog’s nature. We are dedicated to training through positive reinforcement and repetition. In this way, your dog will eagerly develop to its fullest potential. It is just as important to train you as it is to train your dog. You need to be able to reinforce and maintain the training after your dog is home. This is accomplished through a couple scheduled sessions with the trainer. These are lengthy, one-on-one, hands-on sessions where you are handling your dog with the trainer. It has been our experience that this is really liked by our clients and it is beneficial to the overall training experience. Your dog will have a comfortable stay while being trained. Your dog will be worked on a daily basis, benefiting from our schedule. While staying here your dog gets to know us and that Wings and Whistles is a safe, secure, happy home away from home. Many of our clients comment that their dog gets excited when they turn onto our road, knowing it is coming to stay at Wings and Whistles. Mike trained various dogs his family owned throughout his life and when he got married he trained his Golden Retriever and English Setter. Then Mike started training a friend’s dog in 1985. What started out as a hobby that he loved to do, turned into his full time profession in 1989 after getting more and more requests. Mike and Linda bought their property in 1988 and built their kennel with the help of friends and family who believed in them. They then added on another building in 2000 to handle the many customers who wanted their dogs to come back for boarding. One thing that spurred on his reputation is his honesty with people and ability to handle any dog – any size, breed, or temperament. He believes each dog is unique and likes the challenge of understanding each dog’s personality. This is what keeps his job interesting. Another aspect of his training that built his popularity is training the owners. He’s always felt this was extremely important. He could get a dog to behave perfectly at our facility, but if the owner didn’t know how to follow through on the training and maintain it at home, it was all for nothing. Therefore, he started involving the owners in the training by having them come out for one-on-one sessions. This is where they could get a couple practice runs before they got their dog home. Another thing people love is that he’s always available for advice. If a situation comes up that they don’t know how to handle, Mike can walk them through it. Using his knowledge of their dog and his experience, he has been able to help many people. During Mike’s free time you will find him hanging out with his family: wife, Linda; daughter, Rachael; and son, Peter. You may find him in the wood working shop. He has a talent for making furniture and cabinets—anything out of wood. Two other favorite pastimes are hunting and fishing. Rachael is Mike and Linda’s daughter who grew up doing many different things at Wings and Whistles. She started at the young age of 8 offering extra brushing for customers. She then worked in the kennel doing regular kennel chores in her teens. Now that she’s done with college, she has been doing general obedience training. She has been helping Mike train for the last few years. Mike has been mentoring her on how to handle each dog’s unique personality and how to get them moving forward each day in training while keeping it positive. Her long term goals include taking on the Wings and Whistles business when her parents want to retire. Rachael loves to read and spend time with her friends. You can also find her painting and flocking Spirit Water Decoys. Linda is married to Mike and started Wings and Whistles with him in 1988. Linda handles the books for the business, scheduling, phone calls, and other various kennel jobs. She has owned dogs her whole life and currently Mike and Linda own Zinnia, a rough coat Jack Russell and Jada, their Black Lab who is the hunting dog of the family.